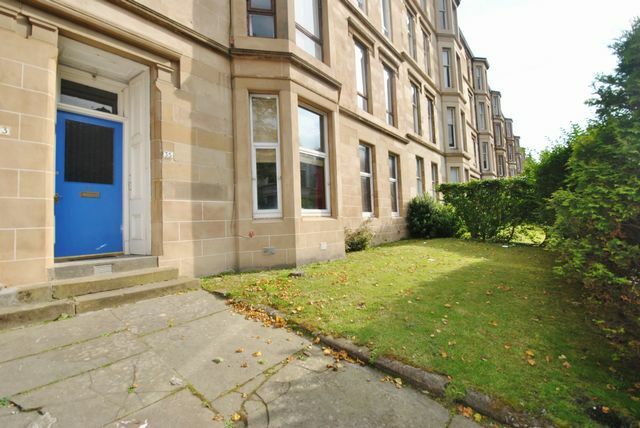 Rarely available main door 3 bedroom main door tenement flat in ever popular Hillhead location. This exceptionally spacious apartment is offered on a fully furnished basis and is perfectly located for all the bars, restaurants, shops and deli's on Glasgow's Byres Rd. The flat comprises large entrance hallway, 3 spacious bedrooms ( all large doubles) , bathroom with shower over bath, generous storage, bay windowed living room with feature fireplace ( for effect only), bright dining kitchen with separate utility to the rear and additional storage room. Direct access to the shared back garden which is well kept. GCH. Residents parking avilable at additonal cost to council. Fully furnished throughout and well decorated throughout. Not available to 3 unrelated sharers as no HMO licence.